If you try out a bunch of pictures, that's fine. 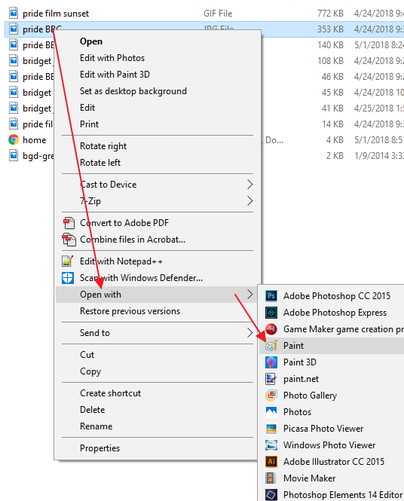 Just make sure you clean up your folder when you're done. 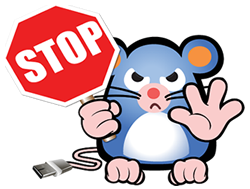 Go into your webpage folder and delete any pictures you are not using on your page. 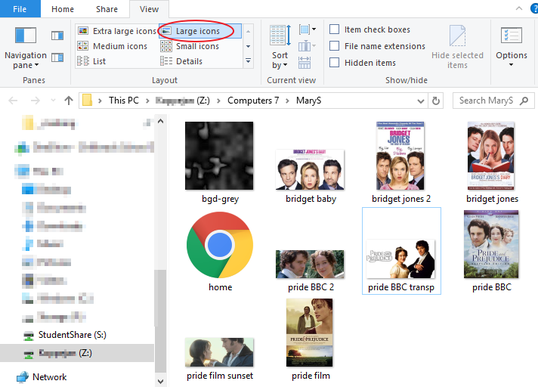 It's easier if you have your folder View set to "Large icons". 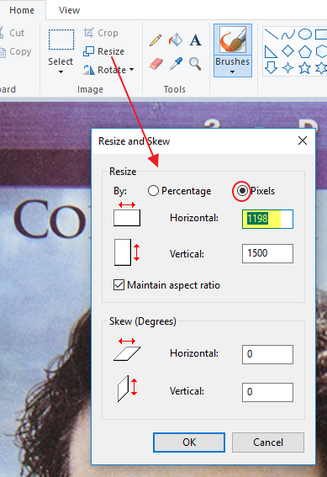 In your webpage folder change View to show "Details" so you can see how big the file sizes are. 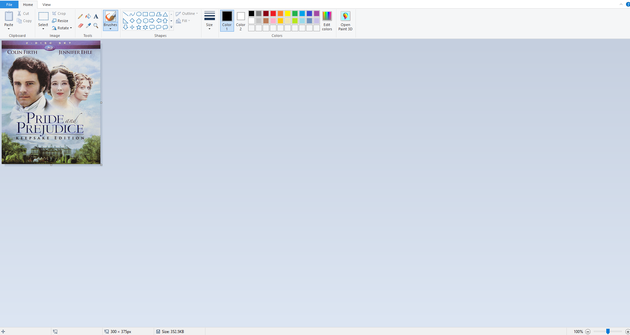 Any pictures that are larger than 100 kb, you will need to open in Paint and size down. 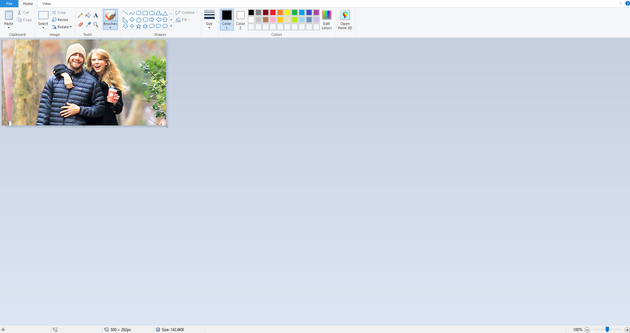 Do not size down animated GIFs or PNGs (if they are transparent) or they will lose their animation or transparency in Paint. Start by setting it to "500"and OK. If it's one of your horizontal/wide type of pictures, save it and close. 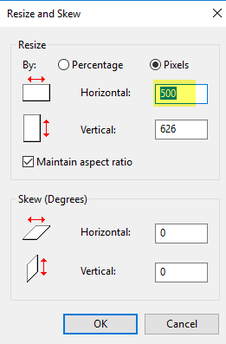 If it's a smaller/square type of picture, you can reduce it further to about "300". 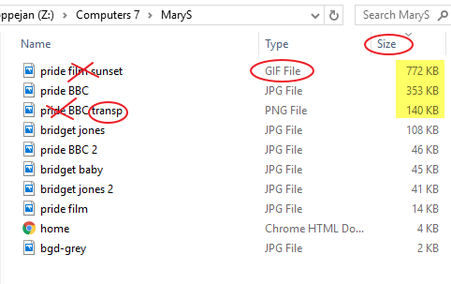 Have your webpage folder open, set to Details and get it checked by the teacher.